Last year I had the privilege of coming to Mayanot. The moment I left, I began planning my return. This trip, I had great expectations of Mayanot based on my previous experience, but I was warned that I should not expect this trip to be as powerful. Fortunately, Mayanot has not let me down and has exceeded all of my expectations. After a long year of waiting, I came home and was welcomed by new faces who immediately became my sisters. 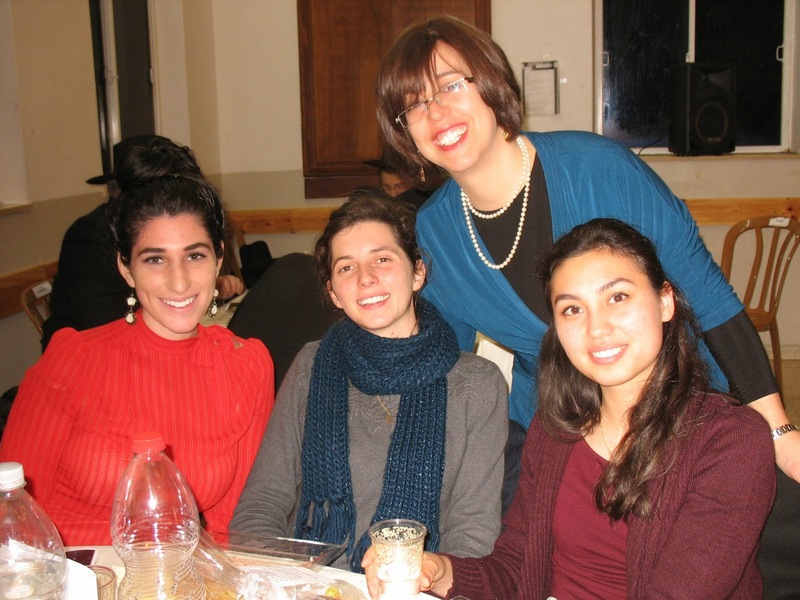 Being in South Africa for the past year was a struggle in terms of learning, trying to stay in touch with Judaism and being who I want to be. However, it did allow me to truly appreciate how lucky I was and am to be at Mayanot. Mayanot gives us the opportunity to learn with understanding and experienced teachers. it enables us to reach a potential that we did not know existed within us. And more importantly, we are able to be our true selves without pressure or expectations. My second time at Mayanot is incomparable to the first, because no two experiences can ever be the same! I am so grateful to be back home and am blessed to have gained more sisters. I cannot wait to continue my Mayanot journey, and I know that when I leave, I will have the tools and spark to continue my growth. Why shouldn't a Mayanot Student, Alumni or Teacher WIN? Spread the Word and Apply using this Link! The Meaningful Life Center is publicizing the MyLife: Essay Contest, In honor of the Alter Rebbe’s 202nd yahrzeit on Chof Dalet Teves, and corresponding to the first anniversary of the MyLife:Chassidus Applied series. You are encouraged to submit an essay applying a concept or idea in Chassidus to solve a contemporary life issue or challenge. A panel of judges will select the winning essays. The best of Luck to all that apply. Entries must be uploaded to their site by midnight, Thursday February 19, Rosh Chodesh Adar to be eligible for consideration. to Celebrate the Annual Gala Dinner. 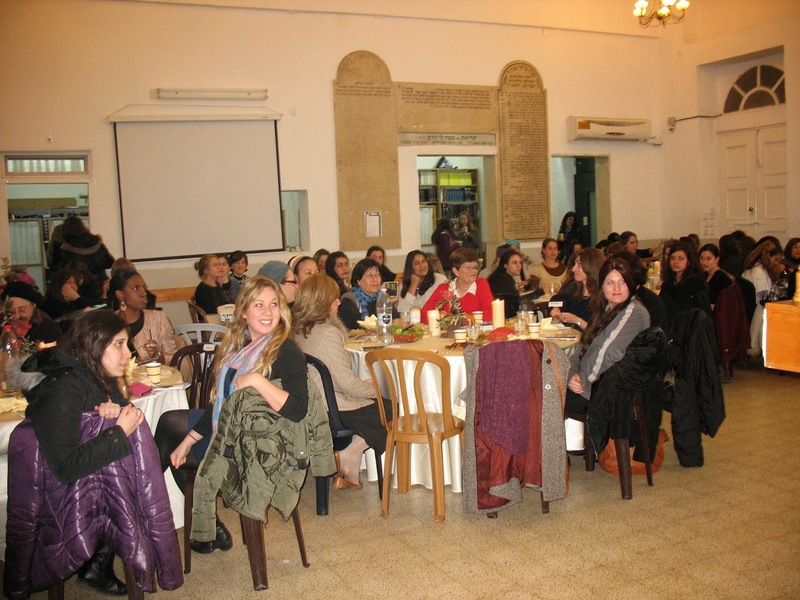 This special evening took place on the 24th of Tevet and several Mayanot alumni were in attendance for this year’s celebration. It was a pleasure to hear how the skills they gained and the friends they made during the Women’s Program have stayed with them over the years. 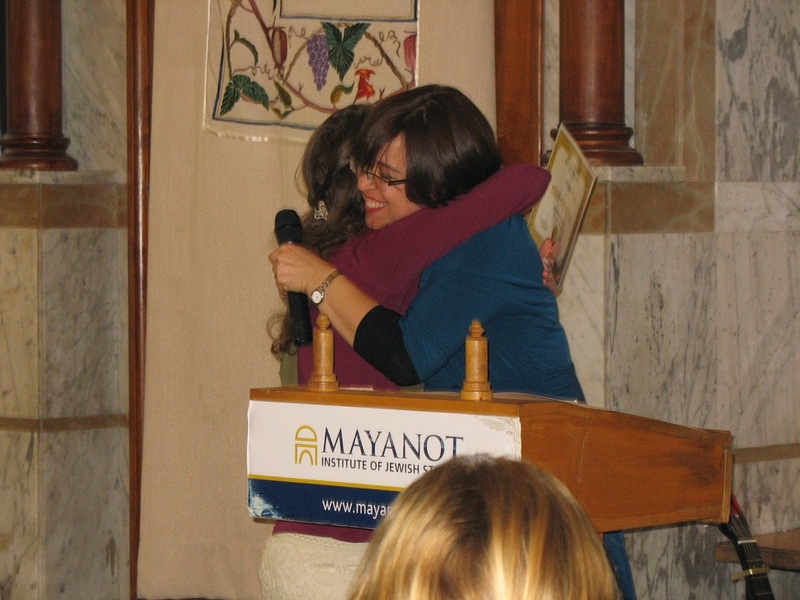 One such student Batya Mayer, remarked, “Mayanot has been one of the best experiences of my life. All the students here are serious about learning and bettering themselves, everyone is kind to each other and we are all good friends”. 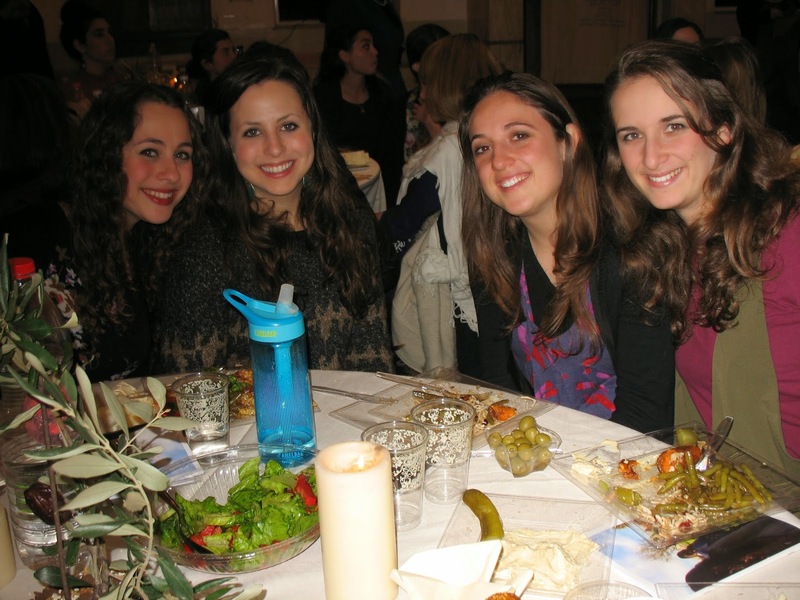 Alyssa Kirsch, a current student with a particularly interesting story, retold, “I chose Mayanot because my shlucha at the Roitman Chabad Center of Cornell, highly recommended it”. 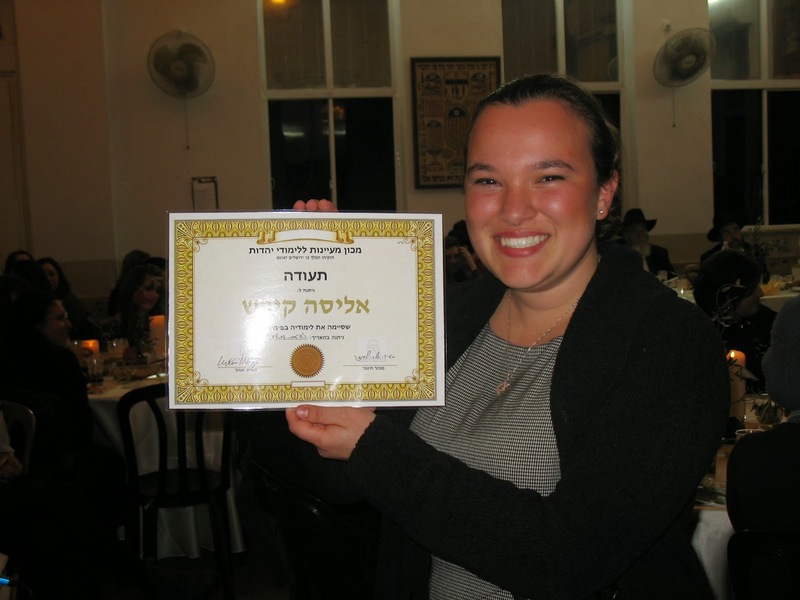 Her Rebbetzin, Miri Birk is a Mayanot Alumni from the first year program in 2006. Seeing as how the evening’s slogan was ‘Coming Full Circle’ it seemed very appropriate for Alyssa to speak. 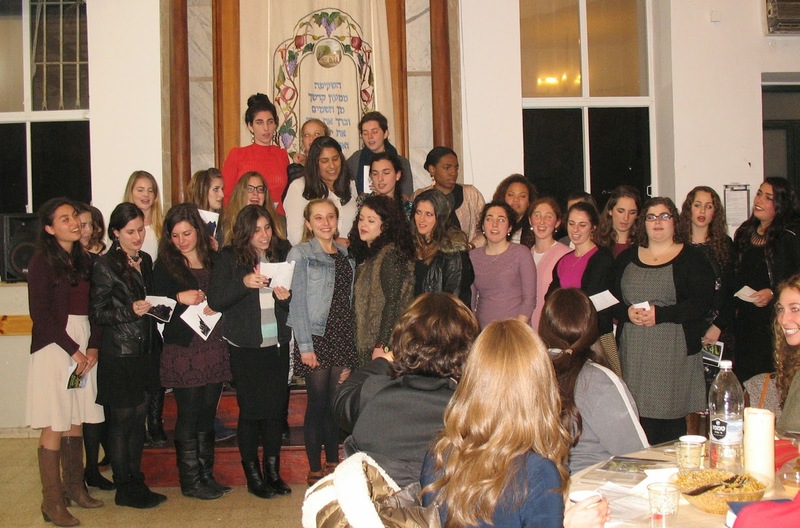 Entertainment included the Mayanot Women’s Choir, a video of the Rebbe on the Jewish woman being the ‘pillar of her home and lots of delicious food and refreshments. A unique part of the program at Mayanot is the emphasis on serious textual learning and gaining the skills in order to delve into the deeper texts. 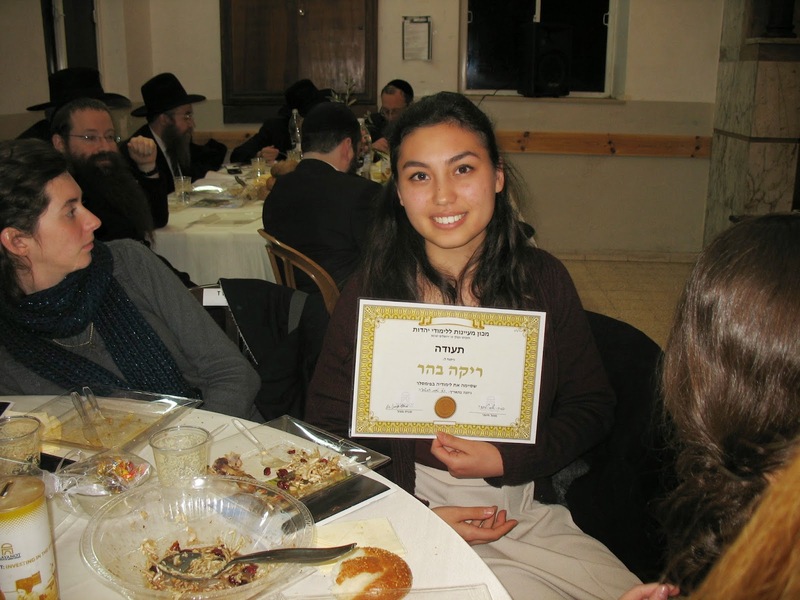 Mayanot has partnered with the Pimsleur Program and many certificates of achievement were presented to those students who have excelled in their Hebrew Studies. 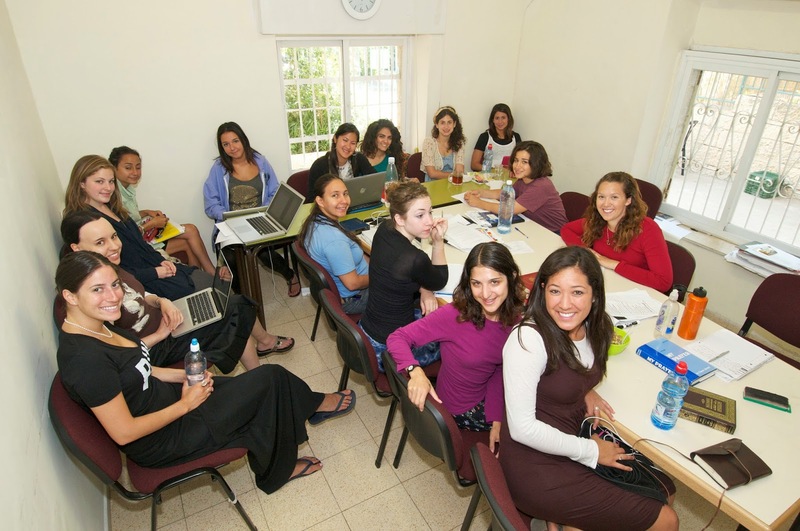 Rebbetzin Dina Hendel, Shlucha from Chabad of Talpiot exclaimed, “When I started teaching at Mayanot 7 years ago there were only 10 women and one shlucha but now there are hundreds of women that have come through these doors”. There is a feeling of ownership at Mayanot, like this is our home. At such a warm and inviting educational center, the teachers share the sentiment, she said. A big thank you to all the teachers, staff and Shabbat host families who have made this year's event the amazing experience it was. Special thanks to the Gestetners, Shemtovs, and Levingers for helping to change the lives of so many women. 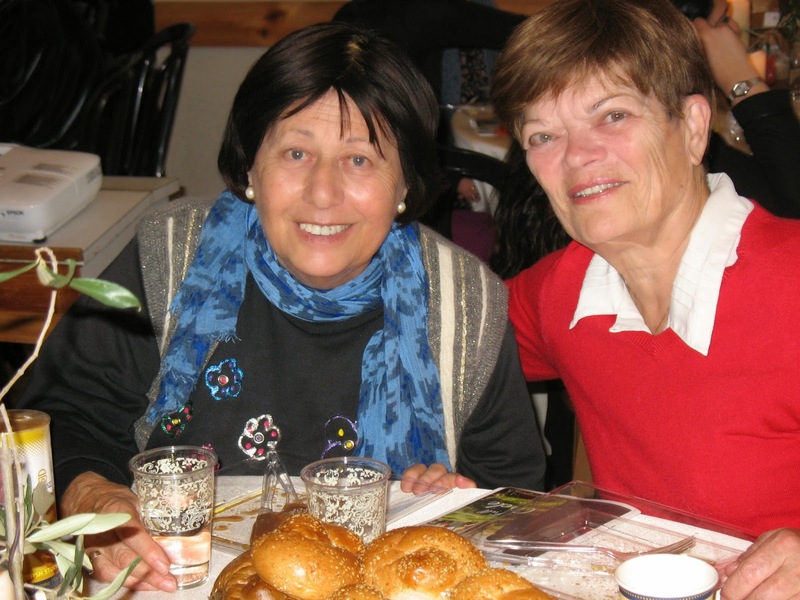 Our very own Mrs. Rivka Marga Gestetner, assistant director of the Women's division of Mayanot, is featured here on TorahCafe. Check out the video and leave a Comment. We always love hearing from our students and Alumni! 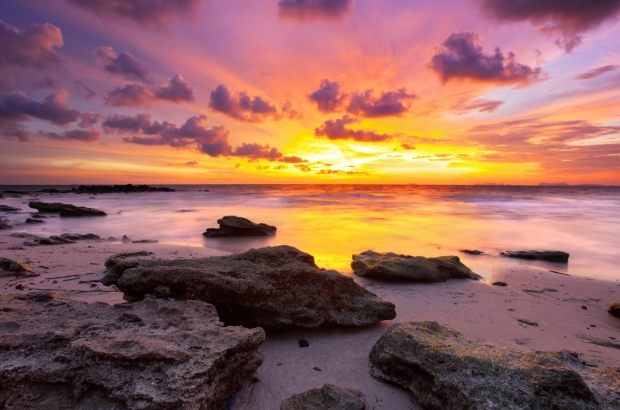 Rivka Marga Gestetner compares blood to water, in this week's Parsha Video. Water is represented by cold analysis, while blood represents excitement and passion. These aspects together complete each other. According to the Lubavitcher Rebbe, when conceptualizing an idea, take the time to be passionate and enthusiastic about it! 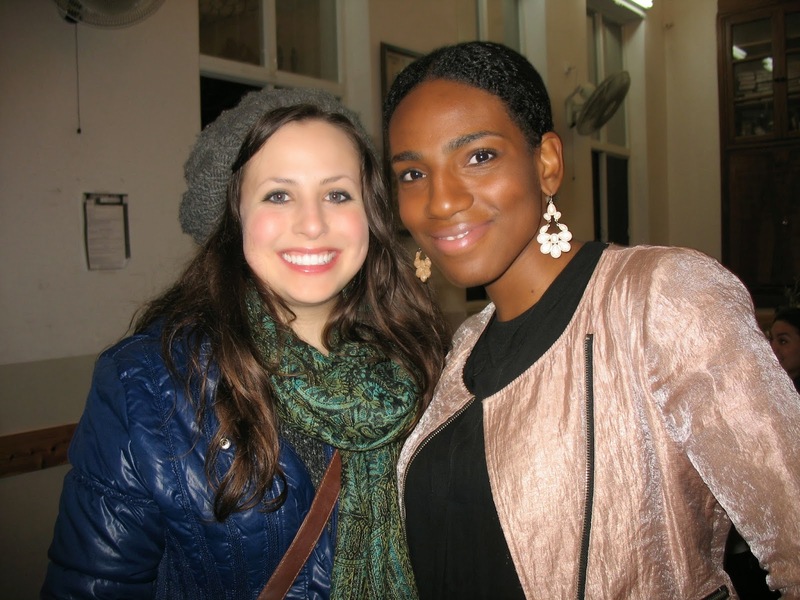 Sharing a post from our dear Alumni, Ettel Irwin's blog 'The Trip Continued'! I've only had my heart broken once. It happened on an adventure. My companion grabbed my hand like a trusty friend and told me to close my eyes. He led me to a sunny field where the air smelled fresh and the birches donned a silvery glow. We stood there squinting at the sky as our faces flushed with warmth, then he clutched my shoulder and drilled his gaze into my soul. "Stay here forever," he urged. He whispered promises of progress and transformation if I would make this place my home. Then he released his grip and fled. We've all known him. He's the one whose first appearance happens when we are most in need. His arrival is spontaneous. He's the sudden surge of momentum that enlivens our cumbersome journeys, he's the headlight that clarifies clouded paths. He makes us fearless. We travel to far-off places without a blink, we shed the safety of our snugly worn identities and start anew. But inspiration takes off just as quickly as he comes. No parting words, no drawn our goodbyes. Just a deafening silence and the stark awareness of betrayal. I remember the day he left. Externally my life remained unchanged, but my faith deflated and my movements forgot their meanings. And then it was just me. Just me and God, residing in that faraway meadow, its once hopeful song of promise flattened by the dense, formidable night. I sat there in the darkness, retracing memories of Inspiration in my mind's eye. I recalled his flickering smile and his soft, encouraging words, I replayed his poignant pronouncements of all that was Good and True. Those words made me do what was right. Infatuated with his eloquent tale of an embracing and visible God, my own will fell listless in the wake of a newly-infused thrust to serve only Him. With each righteous act, Inspiration would nod approvingly and my heart would swell with a deep satisfaction. I had regarded myself as an earnest servant of God, but a glimpse into the sinews of my memory revealed that God only loomed in the backdrop of each recollection, overtaken by the dramatic love story that blazed between Inspiration and me. The light of our love was so bright and the sounds so melodious that I couldn't help but do all that Inspiration said was right - but I grew to love the light more than its source and the entity I bowed to was named Self-Satisfaction. Now, for the first time since Inspiration fled, the lightless sky seemed a more fitting conduit for the Truth than the light I once cherished. I relaized that my fling with Inspiration was just a story God spun to lift me out from my constrictions and lead me toward Him. God knew that without Inspiration - without my freewill folding beneath the weight of my certainty - I never would have approached Him. God's hushed orchestration culminated in moment of growth charading as tragedy. With Inspiration's release from his mission, God invited me to share in a more inward relationship with him, one that proved impossible against the blinding light of Inspiration: A bond founded on the choice to commit. I still reside in that field. Sometimes I think I spot my long -ago friend darting through the underbrush, but his outline is blurry and his face is always turned away. Those moments make me pine for my inspiration, longing to see the world through his eyes once more. I know he'll return. I know God wants him to return, to sweep me up in a tangle of new questions and insights and longings, to rescue me from this shadowy place and catapult me to the next phase of my journey. But in the meantime, I know I have the opportunity for something even more valuable. I can connect to God himself, in darkness and in light, in doubt and in certainty. It's finally just the two of us. Now the real love story can begin. We are so proud of our Alumni. 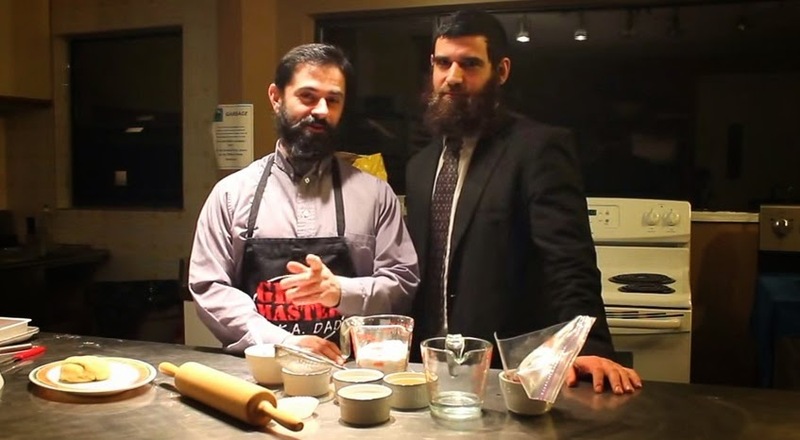 Rabbi Yosef Romano, of Oakland is just one stunning example of why! A few months ago, my husband, Paulie, and I were on our way to Baltimore to be with his dying mother. A Chabad rabbi was in the security line at Oakland airport, just a few people behind us. For those flying through New York’s JFK, of course, this might be a common occurrence, but in Oakland, not so much. Because of my work in the Jewish community, I have come to know many Chabad rabbis in the area, but I didn’t recognize this one. He was young, so I thought he probably hadn’t been here long, or maybe he was just visiting. 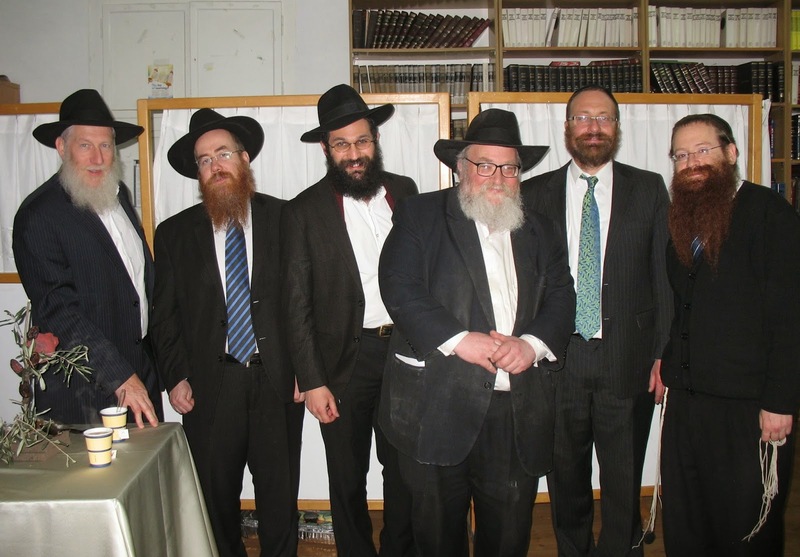 On the other hand, with Chabad’s explosive growth here, there are rabbis I haven’t met. Some Jews consider Chabadniks to be more authentic Jews than the rest of us, that their higher observance level gives them a more direct line to the Almighty. I can’t say I buy that. However, a rabbi is a rabbi, and I found myself asking Paulie whether we should ask this total stranger for a blessing for his mother, that her passing would be as easy as possible. We debated it as we walked to our gate, and the Chabad rabbi walked in the same direction. We decided if we ended up at the same gate, we would make our request, but when we got there every seat was full. We backtracked to the previous gate, and there sat the rabbi, with two empty seats next to him; it was beshert. We sat down, and the rabbi smiled and shook Paulie’s hand. “Hi, I’m Yosef,” he said, and then quickly asked, “Are you Jewish?” Duh. 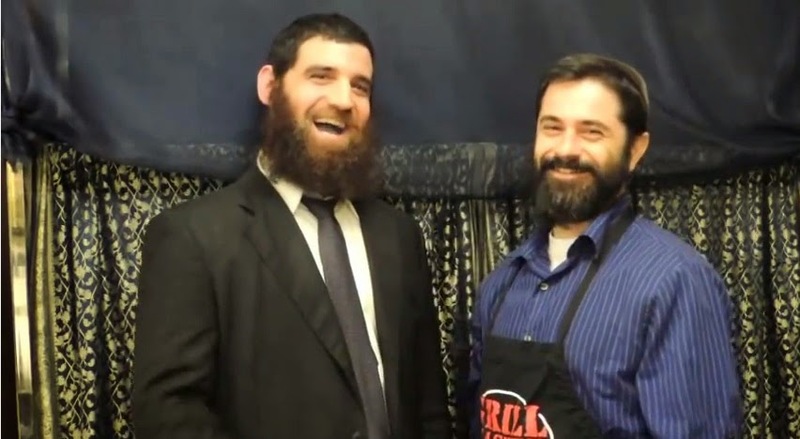 We soon learned that he was Rabbi Yosef Romano and his wife was Devorah Leah Ferris, one of the daughters of Rabbi Yehuda and Miriam Ferris (co-directors of Berkeley Chabad). He and his wife run Berkeley’s Friendship Circle, Chabad’s program for children with special needs. He was on his way to a wedding. We told him the purpose of our journey and asked for a bracha for Paulie’s mom. The rabbi whipped out his smartphone and called up the “Write to the Ohel” app. (What? You haven’t heard of it, either?) The app allows users to write a note that will be printed out and hand-delivered to the grave of the rebbe, Menachem Mendel Schneerson, the deceased seventh leader of the Chabad/Lubavitch movement. Paulie typed his message into the rabbi’s phone. We acknowledged our awkwardness about our request, since Paulie’s mom had been born Jewish but later became Unitarian Universalist and, most recently, Quaker. Before we knew it, our flight was boarding. Seizing his opportunity, Rabbi Romano went for what, given the chance, every Chabadnik asks of every Jewish man — he told Paulie his prayer had a better chance of being granted if he’d do the mitzvah of putting on tefillin. 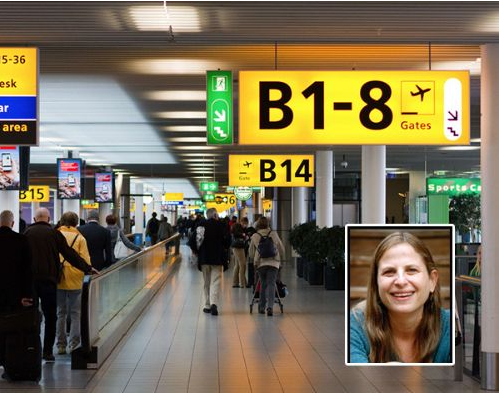 The rabbi had a kippah and tefillin in his carry-on for just such occasions. While many less observant men balk at the suggestion, Paulie has no such baggage. So right there in the airport, he put on tefillin for the fourth time in his life and said the required blessing in front of a bunch of curious onlookers, before we hurriedly boarded our flight. I had given Rabbi Romano my card, and a few days later I received an email from him saying he hoped things were going as well as possible for us, and that if Paulie needed a minyan to say Kaddish with when he returned, he should be in touch. I was deeply moved by the gesture, that someone we had spoken with for only a few minutes at the airport made the effort to let us know he was one of many holding us in their thoughts while we dealt with the difficulties across the country. I called him before writing this column to ask whether he noticed us stalking him in the airport. “I noticed you noticing me and thought you wanted to be approached when you sat down next to me, but I never deemed it stalking,” he said, adding that it happens with some frequency. 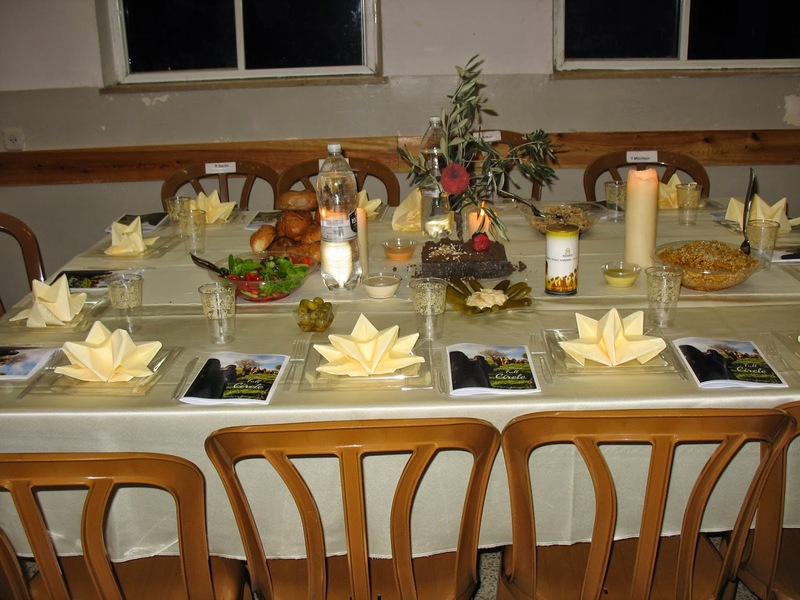 This Dvar Torah was taken from the Mayanot Women's Program 5th anniversary Dinner Brochure, a memento of Lighting and Educating! Because of Pharaoh's evil decree to kill all Jewish baby boys, Yocheved tried to hide her newborn son. When she was no longer able to hide him at home she decided to try to save him by floating him on the Nile in a papyrus box. His sister stood on the side to watch and see what would actually become of him. She was witness to an extraordinary episode. Pharaoh's daughter went to bathe in the Nile. She saw a basket in the water, took it to her, and found a baby. 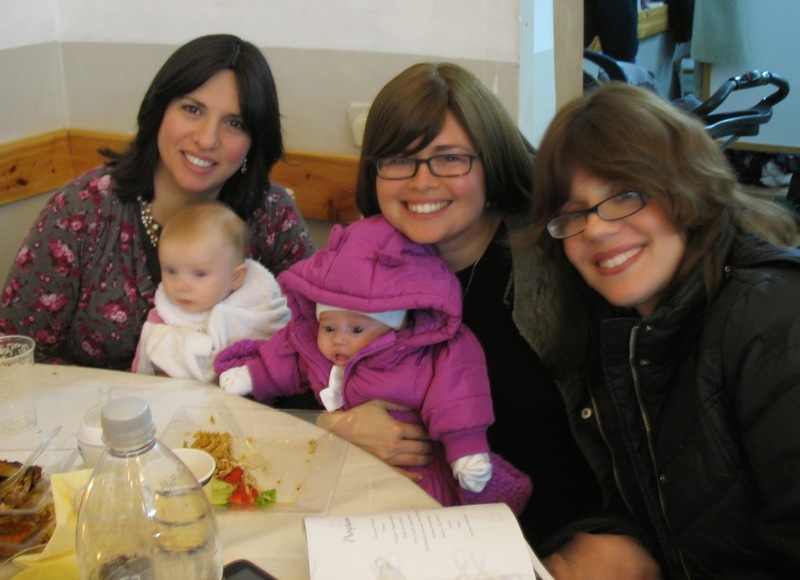 She realized that the baby is Jewish, has pity on the baby and eventually raises it as her own. The Torah doesn't even tell us her name when it relates this episode. Here she is just called "the daughter of Pharaoh". This adds to the drama of the story. It isn't just any Egyptian that would be the one who saved the person that G-d choose to be his messenger, to redeem his people from Egypt. It was Pharaoh's own daughter. And the redeemer would actually grow up in Pharaoh's own home. Hashem works in very amazing ways. According to some, Pharaoh actually named his daughter Batya and that is what she was called in Egypt. He considered himself god and he called her the daughter of god. According to the Even Ezel that is why the Torah doesn't mention her name here. It doesn't want her to be associated with the gods of Egypt, especially since the Gemara (in Sota) says that she went down to the Nile, vateired, to immerse herself in the running waters and purify herself from the idol worship of her father. In this episode on the Nile, we see how far she distances herself from Pharaoh, her father. Although her maidservants scold her against taking the Jewish boy into her care, against the edict of her father, she doesn't listen to them and does what she thinks is the right thing. According to the Midrash, she stretches out her hand- ama- to try to save the baby from the Nile. She shouldn't have been able to reach the basket because of the long distance, but Hashem caused a miracle to happen and her arm grew. The Kotzker Rebbe learns from here that when one has a mitzvah to do, he should do his best no matter if he thinks he will actually be successful. He must just try. Because of her effort, Hashem later calls her Batya - the daughter of the true G-d.
Have a wonderul week and a great shabbos! Mayanot Spotlight, the new blog segment where we catch up with our alumni, find out about their Mayanot experience in retrospect and see how they’re impacting their current communities. Here we are joining up with Rabbi Yisrael Shurack, and learning all about the new project he is working on, since finishing Mayanot 8 years ago. This is what he had to say, “I attended Mayanot 3 times, because I loved the program so much. Once in 2001, a second time in 2003 and a third time in 2005. My favorite part of the program was the relationships I formed with the Rabbi’s. They weren't just teachers; they were family”. Rabbi Yisrael also mentioned that his most memorable moment at Mayanot was when Rabbi Levinger agreed to sell him the 2nd Aliyah on Yom Kippur, if he would commit to attend every single Chassidus class, in the morning, for 6 months. He not only agreed, he said “I didn’t miss a single class”! 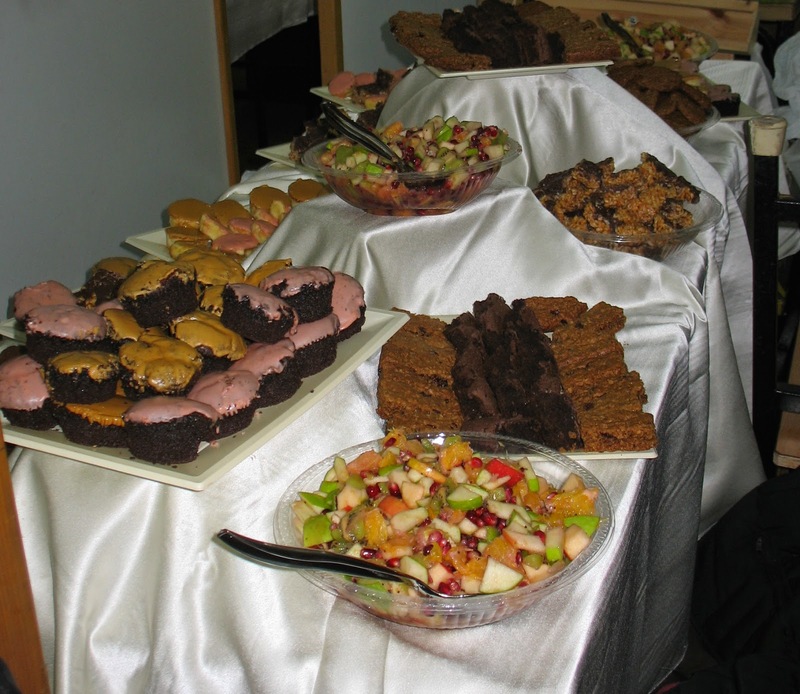 Rabbi Yisrael had been writing an E-Newsletter entitled “A Shtikel Vort” for the past several years and one of the columns he regularly wrote was called, “From the Kitchen” where he would write about a cooking experience with a specific food and relate it to a Jewish concept or life lesson. When he received positive feedback from the articles he was writing, he decided to run with the idea and turn the article into a cooking show. He wanted to include Torah thought and spread spiritual light through Chassidut, which is exactly what he is doing. Collaborating with a professional chef to bring the idea to life, has made an increasing impact on how people view the depth of the food they make and eat. When asked how his time at Mayanot impacted his decision to run with this idea, he remarked, “Mayanot impacts not only this project, but my daily living. 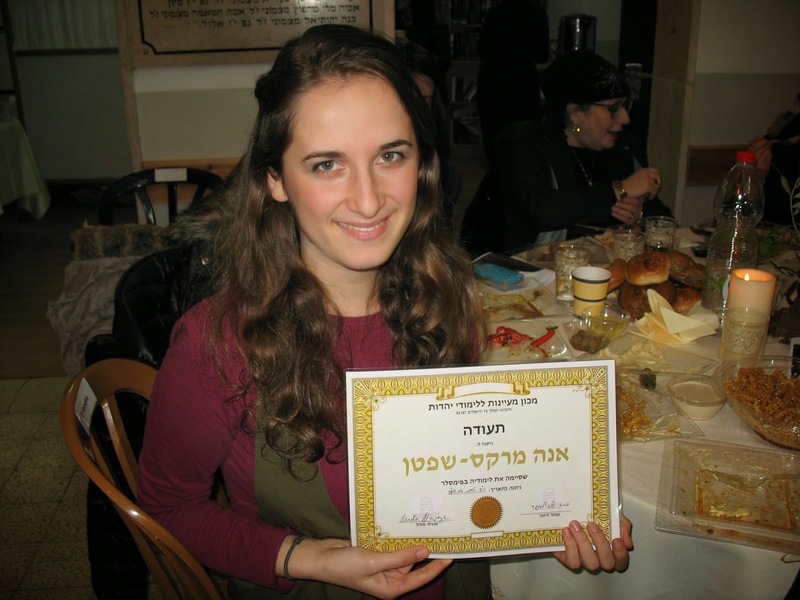 Mayanot taught me foundational principles on how to lead a life built on Torah, maximize my potential, and the privilege that each person has to spread the teachings of Judaism to the best of their ability”. If you are an alumni of Mayanot and would like to tell us your story please email us at: Susie@mayanot.edu for more information.